Today's Letters | There are many things that can change a life...a letter is one of them. 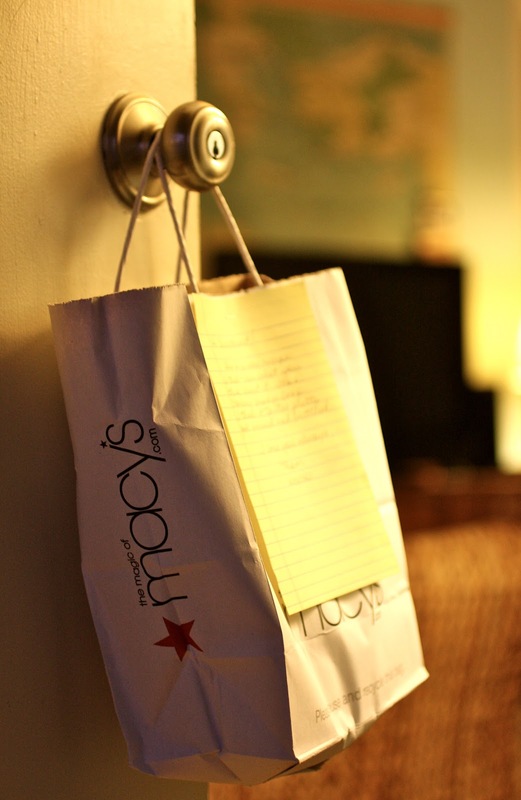 On Monday I came home and found my mom had left a loaf of homemade Cranberry Orange Bread hanging on our door. In that moment, all felt right with the world. I love those moments. Husband's Letters: Dear Mrs. Loerke, last week I did one of my signature-salad-dressing-bottle-shakes. We laughed. We cleaned. I love you! Dear Life, I never consider the summation of all the great things I participate in until the load is too heavy to bear. Here's to simplifying you in 2012. Dear New Laundry Baskets, who would have thought a dude could get this excited about slam dunking his dirty clothes? You make getting ready for bed so much more fun. Dear Emma, last weekend you saw the Nutcracker for the first time in years. It was great to see your eyes light up as the sugar plum fairies danced and the toy soldiers marched. Someday we will bring our little ones to see this holiday classic. Anyone else with me on simplifying in 2012? Why I'll always be a fan of Patagonia. Today's Letters: Dear Mr. Loerke, this weekend marked 3 weeks of being sick. 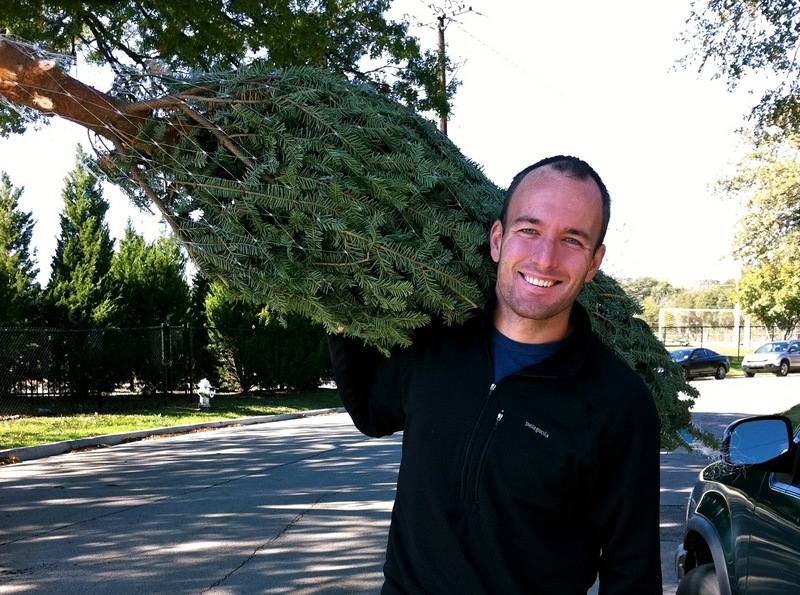 This left you no choice but to bundle me up like Randy Parker and go get a Christmas tree. Dear American Pickers, your new season premiers tonight 9/8c. I think this calls for a White Castle burger and a ride on Frank's Super Scooter. Dear Nutcracker Ballet, one word: YOUWEREINCREDIBLE. Dear Timothy James, lately you've been drinking more eggnog than cousin Eddie. Maybe Santa should bring you one of these for Christmas this year? Happy freakin Monday, Homies! Have you put up your tree? I can't tell you how thankful I am to see a 6ft tall Fraser Fir standing in our living room. Won't be long before she's bedazzle with lights and we're all singing, "Fra ra ra ra ra, ra ra ra ra." Restored 100 yr old apple press means look out Gourmet Baby. Ima gonna move to Massachusetts. To kick off this week's FPF photos we have Kaitlin who threw fist pumps and leg kicks in A Coruna, Spain. Bonus points if you can spy the newly married couple by one of the oldest lighthouses in the world. Go! Next meet Birdie and her Spanish diving instructor, Jaun. 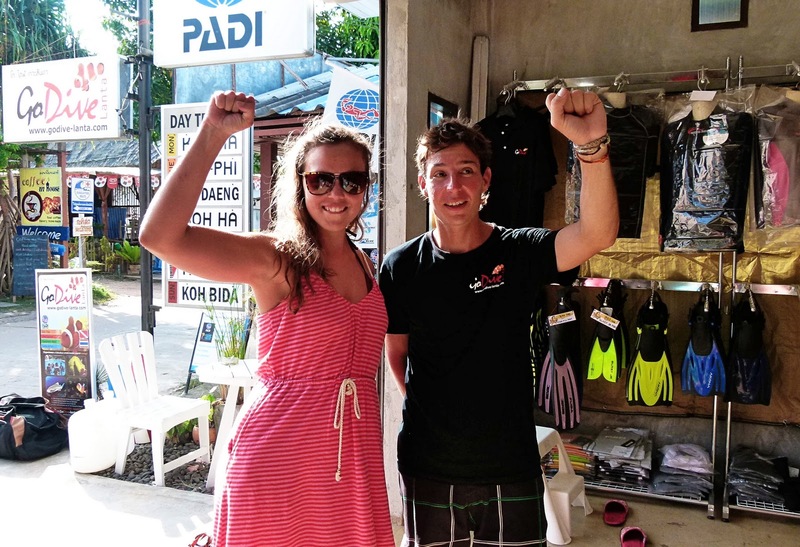 They threw fist pumps after she passed her open water diving course in Thailand. Birdie's currently traveling around southeast Asia making her way to Australia. You can follow her travels here! 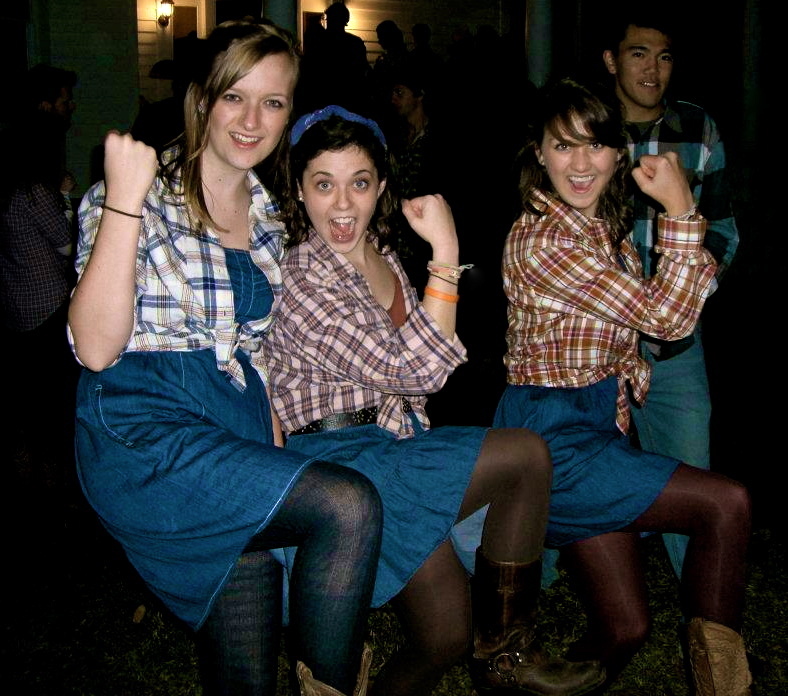 Our next photo is of Alabama students Jessica, Janie, and Erin who threw fist pumps and leg kicks at the Reddoch's farm in Eutaw, AL. They had a fun evening of BBQ, s'mores, and promenading with their partners until the cows came home. Next meet Texas A&M Chi O's Rachel, Katie, Anna, Elly, Maggie, Hannah, Ali, Brittany, Abbey, Rachel, Mariah, Laurel, Mollie, and Kristen. They threw fist pumps and leg kicks at the Alamo while on a road trip for Brittany's 20th Birthday. Pretty sure this photo deserves one gigantic Loerke Whoop! Lastly, meet Covenant College students Kristin, Courtney, Meagan, Sarah, and Lauren. These turkeys ran in the Free for Life 5K last weekend in Chattanooga, TN. Way to make memories, Homies! Thanks to those of you who sent in FPF photos this week! To participate, email photos to em@todaysletters.com ... it's just that simple! Today is our 1,000th post. Can you believe it? Hard to believe since before last year I didn't even know what a blog was! So in honor of being thankful for each and every one of you (including the small handful of dudes who read this blog), we leave you with this video. It will a ) remind you to never outgrow your imagination and b) affirm that feathers were made for flying. Happy freaking Thanksgiving, Homies! Now go getchu some of Grandma's green beanie casserole and pumpkin pie. Today's Letters: Timo Riggins, lately we've been catching up on episodes of Friday Night Lights. This makes me wanna eat at Applebee's and invite Saracen's grandma over for Thanksgiving. Dear Twinner, only 28 more days. TWENTY-EIGHT! Dear Homies, after watching Captain America my beloved husband A) requested that I make him a shield with a star B) took off his shirt and flexed his muscles C) asked for a raygun for Christmas or D) all of the above. 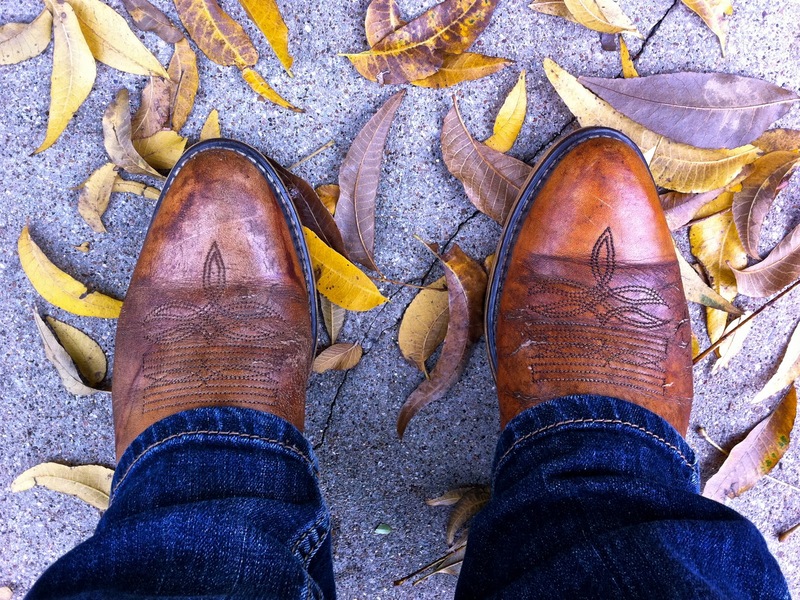 Dear Husband, pretty sure we go together like sh%tkickers on a Fall day. Texas forever. Favorite food on Thanksgiving? Go. Tim has never been a big sunglasses wearer but the craftsmanship that goes into these Randolph's makes me wish he had a pair. What are your favorite pair of sun cheaters? Husband's Letters: Dear Mrs. Loerke, Saturday I woke up to two sweet things: 1) you whispering, "Teemee, you're my best friend" and 2) you holding a plate of homemade cinnamon sugar donuts. Dear Fake Fall in Dallas, how do you explain the leaves changing color when it is 75°outside? Is this some sort of trick or something? Dear Family, we're so excited to spend Thanksgiving with you in Tulsa! Looking forward to a turkey dinner and good conversations. Dear Emma, I'm pretty sure you're your father's daughter since our Exploder is about to have a light up Santa on the front of it. I love being married to a Griswold! What are your favorite kind of donuts? After eating Em's homemade ones I don't think I could ever go back to Krispe Kreme. They were amazing! This video reminds me that a) we should never stop using our imagination b) feathers were made to fly and c) we have more fun in a groups than we do by ourselves. Today's Letters: Dear Mr. Loerke, this weekend we cooked chili in our conductor hats and watched a movie at the Loerke Drive-In theater. Thomas the train says, "Toot, Toot." Dear Burlap, your possibilities are endless. Thanks for being my catnip. Dear Crockpot Baked Apples, you were packed with cinnamon and a fist pump of apple cider. Bonus points for making our house smell like Vermont. Dear Husband (who always gets two letters), yesterday you used our climbing gear to help hang Christmas lights with Mack. This was once again proof that I married the right man. Over and out. Happy freaking Monday, Homies! What are your plans for Thanksgiving? Tim and I leave on Thursday for Tulsa. Maybe we'll catch some of you at Utica Square? Have any of you seen this movie? Twinner told me about it which means A) it has a good soundtrack and b) it'll make me cry. Today's Letters receives over 200,000 page views per month and is a great way to expand your online Etsy shop or business. Don't miss out on being featured as one of our holiday sponsors for DECEMBER! Just email us for a rate sheet. To kick off this week's FPF photos we have Auburn and Alabama students Hamp, Hannah, Rebecca, and Justin who threw fist pumps and leg kicks while camping in Mississippi last weekend. In addition to making campfire orange cakes they also made leaf angels. Way to represent in this week's FPF challenge, Homies! LSU students Elizabeth and Allison also took full advantage of this week's FPF challenge. If you've never made a leaf angel before add it to your bucket list! Can you believe Thanksgiving is just around the corner? Don't forget to take a photo of you and your homies throwing fist pumps and leg kicks on Turkey Day. Bonus points for pilgrim hats and Squanto feathers. Email photos to em@todaysletters.com ... it's just that simple! After last week's concert Feist has been wearing out my iPod. The Loerke Gift Guide is back! Most of these recommended gifts are under 30 dollhairs with the exception of the last one, which Tim and I both agree was worth every dime we paid for it. What other shiz worth gifts have you seen this year? 1. 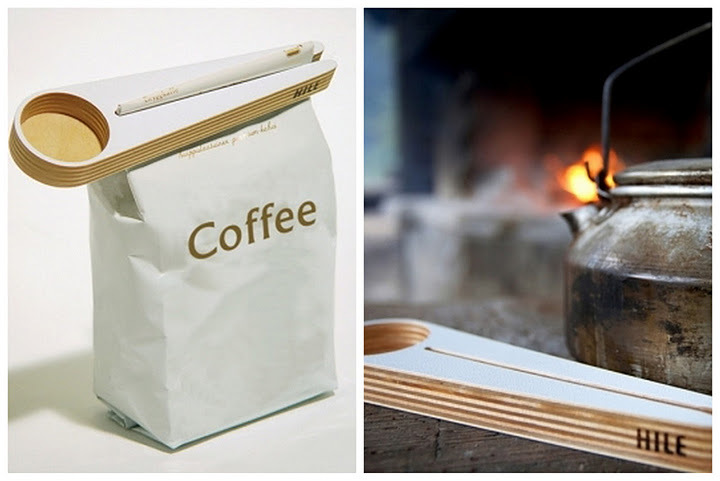 Kapu Coffee Scoop: Made from Birch plywood this functions as both a coffee scoop and bag sealer. Available at Finish Design Shop for $26. 2. 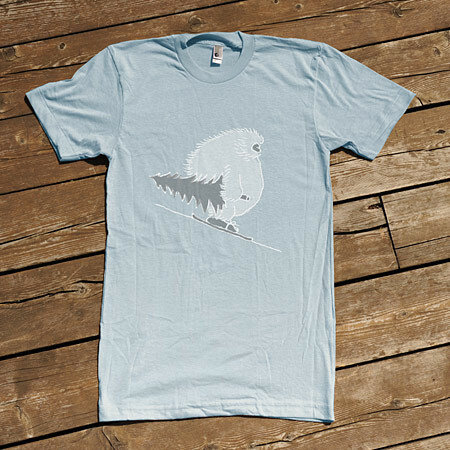 Yeti T-shirt: Nothing says get ready for hibernation season like a yeti carrying a Christmas tree. Available at W + K Studio Goods for $25. 3. 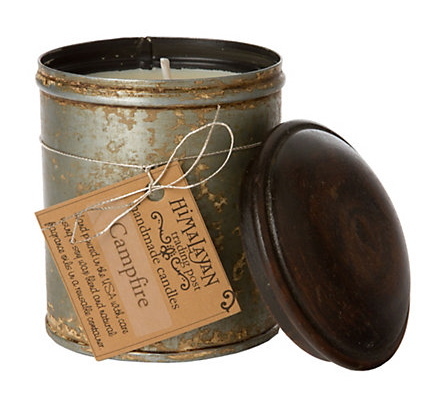 Himalayan Campfire Candle: Hand poured and made of soy wax with 40 hrs of burn time. The packaging alone makes us throw fist pumps. Available online at Terrain for $18. 4. 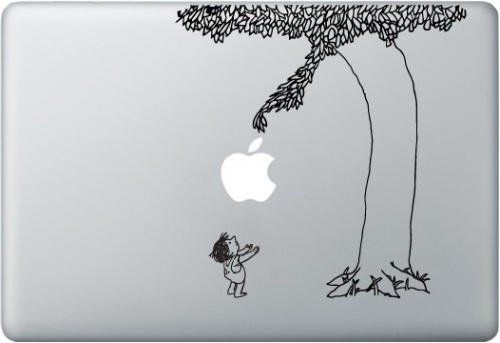 Giving Tree MacBook Decal : The gift that keeps on giving. Available on Amazon for $7. 5. 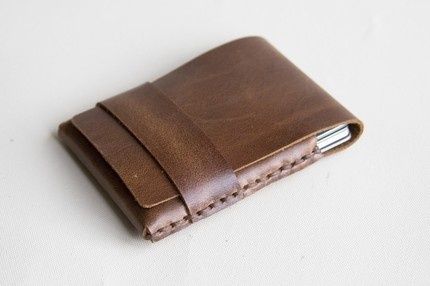 Simpleton Leather Wallet: For the man who doesn't like complicated. Available on Etsy for $35. 6. 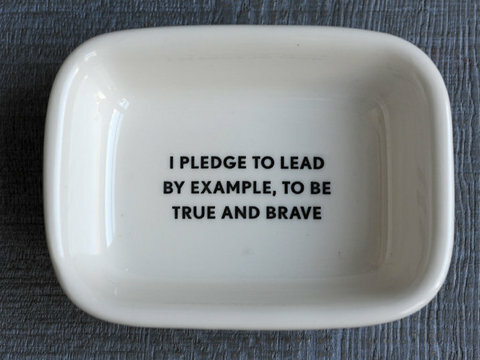 Scout Soap Dish: If this just doesn't make you wanna wash your hands 4,831 day I don't know what will. Available online at Izola for $20. 7. 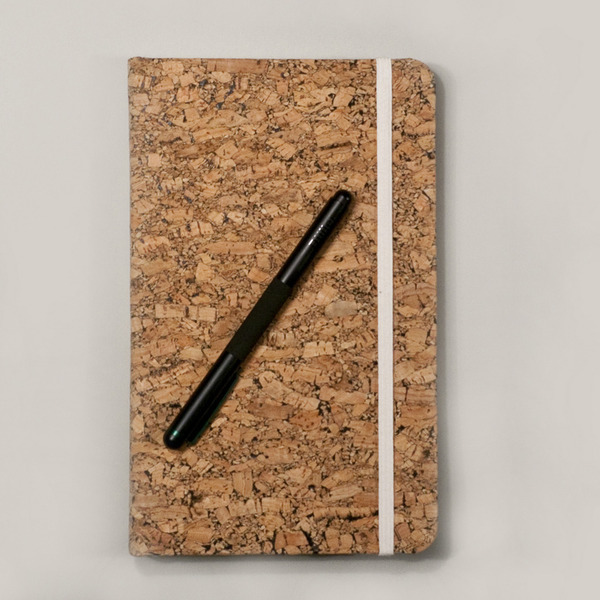 Landmade Cork Journal: Made of 100% recycled cork and lovely in every way. Available at The Ghostly Store for $16.50. 8. 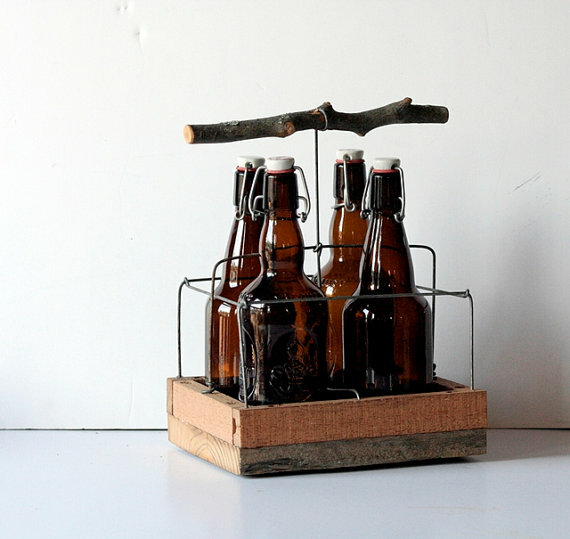 Handmade Apple Twig Four Pack: The perfect hostess gift for holiday parties or for the home brewer in your life. Available on Etsy for $38. 9. 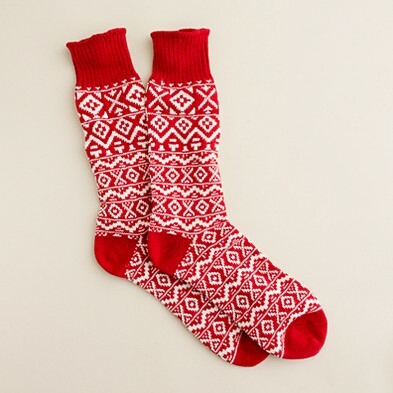 Fair Isle Camp Socks: Made of Merino wool and Available at J.Crew for $18.50. 10. 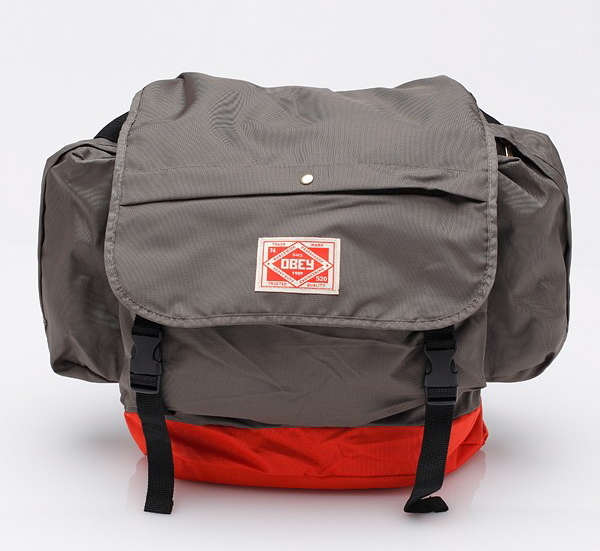 Obey Commuter Messenger Bag: Team Loerke's favorite bag for when we travel. Available at Need Supply Co. for $68. Only 37 more days until Christmas! Today's Letters: Dear Mr. Loerke, whenever I come home from a late night and find that you've set out my sleeping outfit it makes me wanna kiss your face. Reason #268 why boy roommates are AWESOME. Dear Toddlers, on average you laugh 400 times a day. FOUR HUNDRED. Pretty sure you could teach us adults a thing or two about finding joy in the simplest things. Dear Elevator Button, sometimes I push you more than once thinking it will make you go faster. Why am I in such a hurry sometimes? Dear Tim Tam, I think you are fantastic. Kind of like snow days and hot chocolate. Over and out. What simple thing has brought you the greatest joy lately? Husband's Letters: Dear Mrs. Loerke, this weekend you played punt, pass, kick with me in the dry creek bed by our treehouse. This made me feel so proud to call you my wife! Dear Gruene, TX, six and a half years ago Em and I visited you on our Honeymoon. After driving through you on Saturday we're convinced this is where we should celebrate anniversary numero 7. Dear Treehouse Adventure, everything about you was perfect, even sleeping on a twin pull-out bed with Emma in the living room. Dear Emma, each year we give each other a Christmas ornament symbolic of the year's experiences. Yesterday yours came in the mail. I can't wait to start decorating our tree with you! Could you ever live in a small town like Gruene, TX? 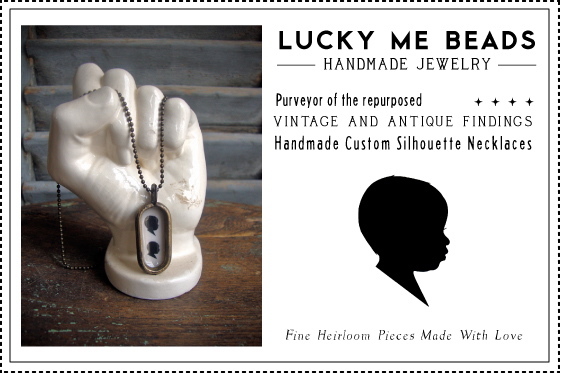 Our blog receives over 200,000 page views per month and is a great way to expand your online Etsy shop or business. Don't miss out on being featured as one of our holiday sponsors for DECEMBER! Just email us for a rate sheet! Thanks to all of you who participated in last week's giveaway! Please email me your addy if you are one of our winners so Mr. McFeely can deliver your MAJOR AWARD! 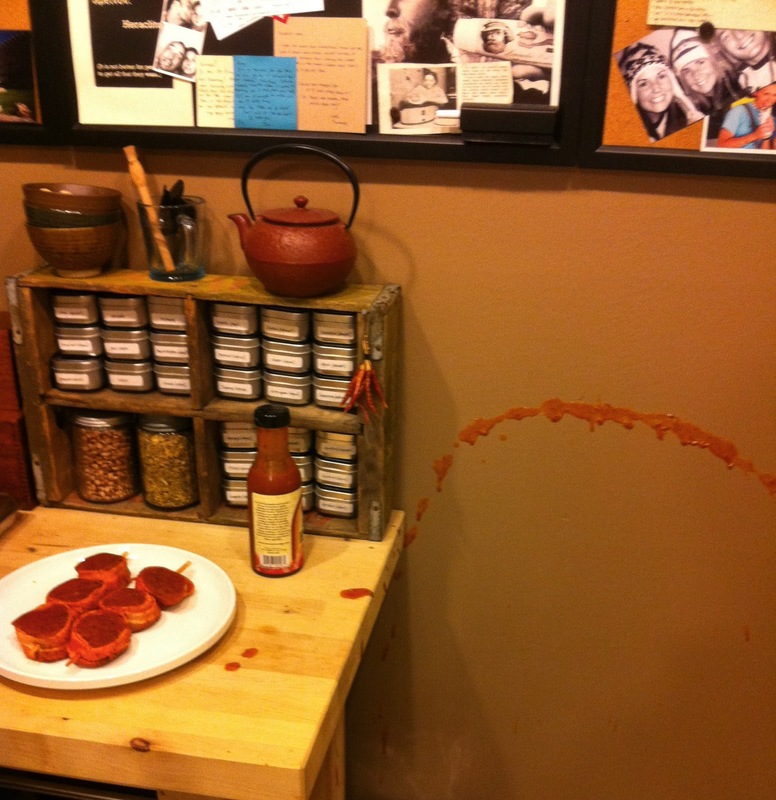 Winner of the PlanetBox Plus Lunchbox Set: Brooke Field said ... "Oh my!" Winner of the My Sweet Muffin Infant Shark Bath Robe: Elise said ... "I lived in Greece this summer and one of my roommates already commented on this post. WE LOVE YOUR BLOG! So does my fiance." Winner of the 11" x 14" Organic Bloom Picture Frame: E.R. said ... "The best kind of problem to have would be to decided if I wanted to keep the prize or share the awesome with someone else." Winner of the Vintage Satchel from Meatbagz: Elisif said ... "aaannnnddd I just followed. Happy Holidays in advance Loerkes! Winner of the Kammok Hammock & Python Suspension Straps: Andrew McIndoe said ... I'm one of the few dudes who leaves comments on here ... and I just happen to love hammocks ... which is why this giveaway could be too good to be true!" A special thanks to PlanetBox, My Sweet Muffin, The Organic Bloom, Meatbagz, and Kammok for helping us celebrate Christmas a little early. You will forever remain at the top of our Christmas wish lists! To kick off this week's FPF photos we have Erin (from Kansas City) and her best friend Jordan (from Oklahoma City) who recently moved back from Madrid. They threw fist pumps and leg kicks at Millennium Park in Chicago to celebrate his return to the US! Speaking of being back in the US, remember Brent from this FPF post? He's since returned from Brazil and is working with Americorps in Cleveland, OH with his girlfriend Colby. Last week she surprised him with tickets to see the Civil Wars. Reason #482 why girl sidekicks are AWESOME. And guess who else threw fist pumps and leg kicks at the Civil Wars concert last week? Meet Taylor University students Amanda, Janae, and Kathryn. Bonus points for having such great taste in music! Our next photo is of Jarah from Salt Lake City, UT and her good friend Shannon from Austin, TX. They recently threw fist pumps and leg kicks while vacationing together in Black Mountain, North Carolina. 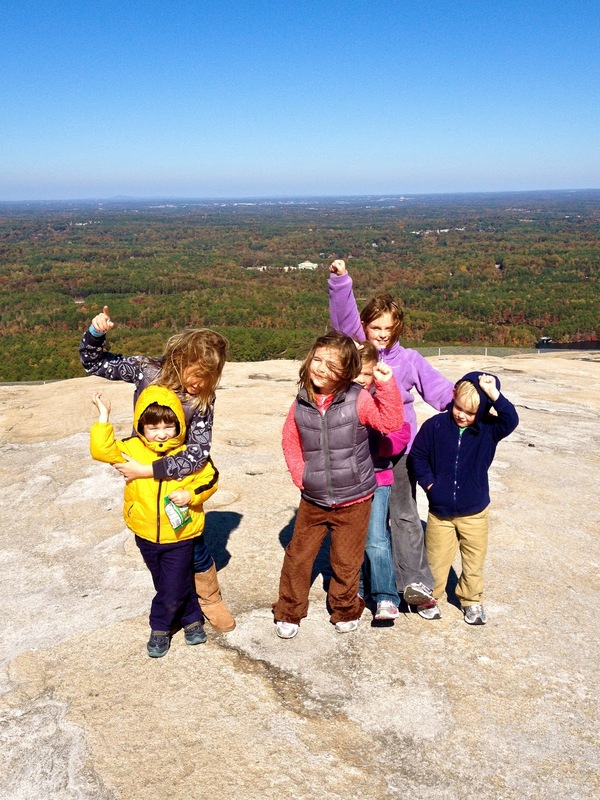 Next meet neighborhood buddies Mitchell, Katherine-Anne, Loye, Ashlyn, Caroline, and Reid who went hiking in Stone Mountain Georgia with their mom's Lauri and Angela. Way to get your hike on little bitties! Our next photo is of Lecia and Doug's sweet baby boy, Gage. Only a few hours old and he's already throwing fist pumps! One day this little guy will slay dragons and wear a cape. Mark. my. words. Lastly, meet my sweet friend Jess and Zak's kiddos, Banner and Adley. Nothing like kickin it in your Power Wheel while cruising your new block in Chicago! Love you guys! A special thanks to all of you who sent in FPF photos this week! I'm still waiting for those fist pumping leaf angel pics so go outside and take advantage of the last of the Fall leaves before sister Winter comes. And, most importantly don't forget to enter this week's giveaway! You definitely don't want to miss out on this shiz. Today's Letters: Dear Mr. Loerke, it's that time of year again when I begin sounding like Coughasaurus Rex and you start sleeping with ear plugs. Thank you from the bottom of my Riiiiiicolaaaa for my CVS party favors. Dear Colder Weather, whenever you hit our flannel sheets come out to visit. Glad you're back like a brand new invention. Dear Self, sometimes the only thing that keeps you together is an unwavering belief in grace and forgiveness. That and a big breakfast. Dear Husband, last night's concert introduced us to the sounds of The Happiness Project & Mountain Man. Listening to live music with you is one of my favorite things in the world. What new music have you been listening to lately? PS, since Monday we've already had over 500 entries for this week's giveaway. Don't miss out by not entering because you think you won't win. You just never know what Mr. McFeely might deliver to your front door! Husband's Letters: Dear. Mrs. Loerke, lately I've been impressed with your bravery. You often remind me to grow in love for the people around me. Dear Blue Bell, I think your Pumpkin Spiced Pecan Ice Cream is the best of all of your seasonal flavors. It's like pralines & cream meets pumpkin pie. Dear Bon Appetit, last night we made your Cumin-Scented Quinoa & Black Rice. Who would have thought a vegetarian dish would have fully satisfied this meat-eater? Dear Emma, tonight we see Feist in concert. Thank you for never steering me wrong when it comes to music! What's you favorite holiday ice cream? And don't forget to enter this week's giveaway! It's official. Christmas is coming early thanks to some of our favorite shops! 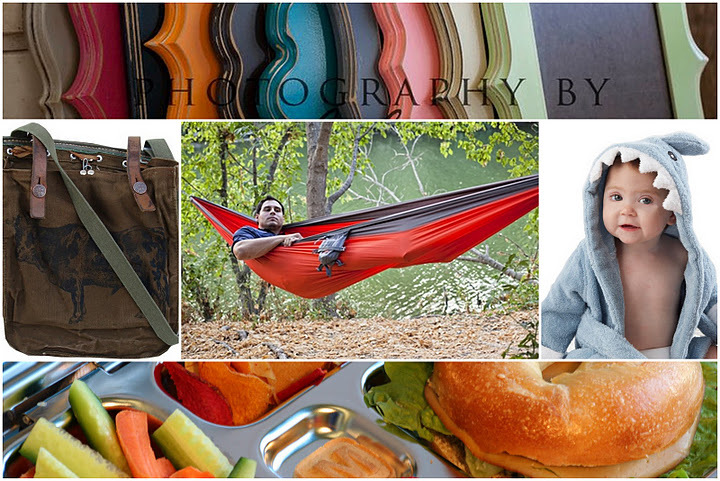 Get ready for a chance to win a PlanetBox Plus Set Lunchbox, a 0-6 month Shark Bath Robe from My Sweet Muffin, an 11" x 14" frame of your choice from The Organic Bloom, a vintage satchel of your choice from Meatbagz, and a Hammock + a set of Python Suspension Straps from Kammok. Can you say holy freaking awesomeness, Batman?? To enter, just leave a comment below. Become one of our Google followers and you can leave two comments doubling your chances of winning. After all, who doesn't like to receive boxes stamped F-R-A-G-I-L-E from Mr. McFeely? We'll draw our winners at random (one for each item) and announce them next Monday. 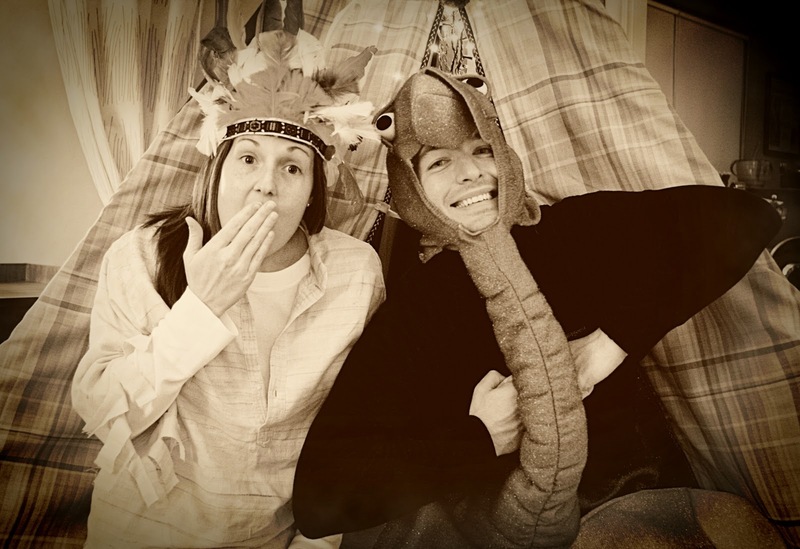 To kick off this week's FPF photos we have Auburn students Elizabeth and Julia. 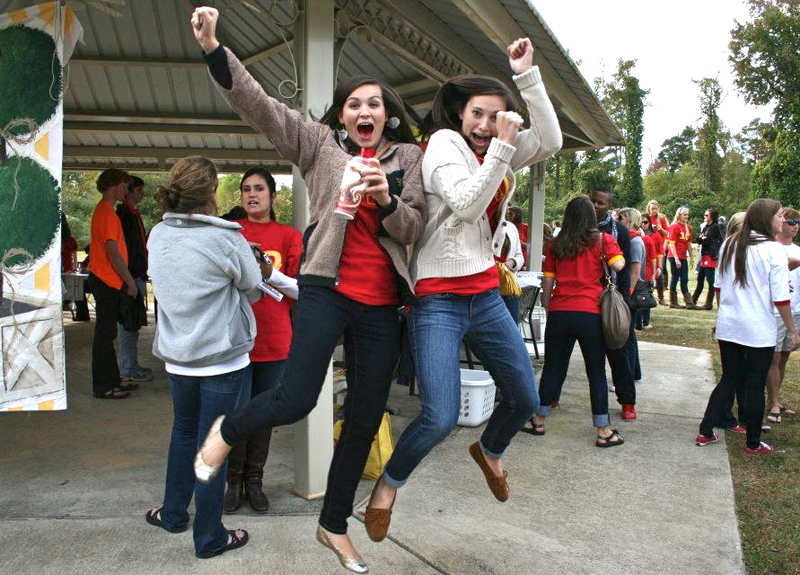 They threw fist pumps at the ChiO Walk for A Wish event last week. Bonus points for red ICEE's and for rocking that Mountain Hardware monkey fleece! 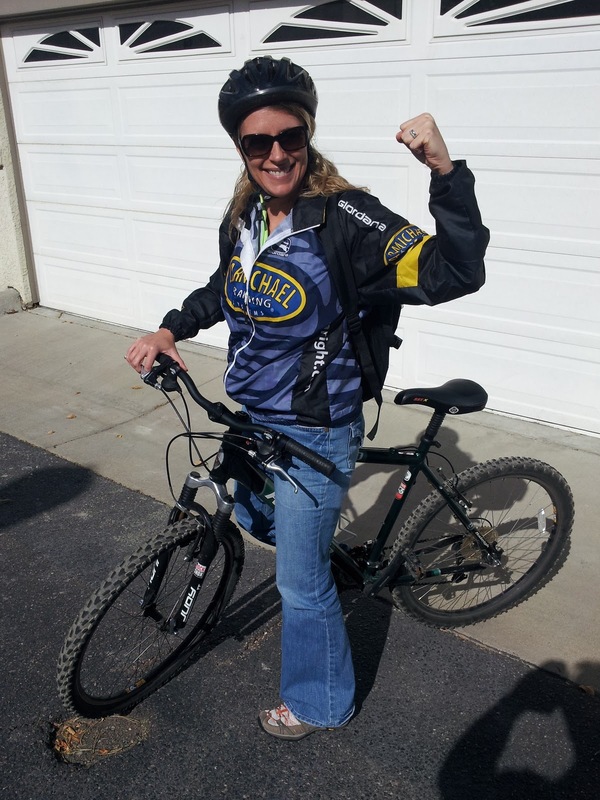 Next, meet my friend Merritt who threw threw on her bravery cape before riding her bici solo to Whole Paycheck. She recently moved to Colorado is taking full advantage of the beautiful weather! 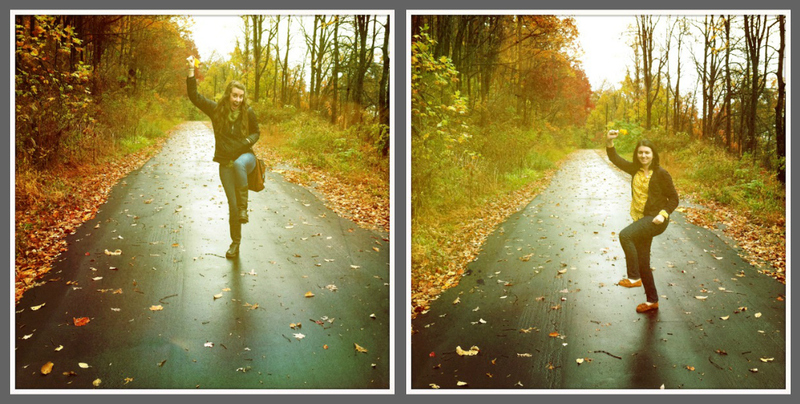 Our next photo is of Stephanie and her family who threw fist pumps and leg kicks while picking apples in Lodi, OH. Pretty sure Diane Keaton called and wants you to work for Gourmet Baby in Vermont! Next, I'd like to introduce to your our first submission for this week's FPF challenge. Meet roommates Ashlynn and Brittany from Olathe, KS. These two dressed as Squanto and Tiger Lily for Halloween. Ashlynn is getting her masters in speech pathology at KU and Brittany is getting her masters in counseling from MidAmerican Nazarene University. Bonus points for living in the great state of Kansas and for having an appreciation for all things BBQ! Our next FPF challenge photo is of Mary Beth's kiddos Molly, Jack, and Ginny. This Ninja and his two Super Girl sidekicks threw fist pumps before pulling in the mother load of candy while Trick-or-Treating! Our last FPF challenge submission is of 8 Barbies from Chattanooga, TN. Meet Lindsay (80's Barbie), Theresa (Race Car Barbie), Anne (Trailer Barbie), Amy (Exercise Barbie), Leanne (Gangsta Barbie), Jenny (Doctor Barbie), Brittany (Goth Barbie), and Katie (Scuba Barbie). These ladies threw fist pumps and leg kicks before their midnight boat cruise on Halloween! Thanks to all of you who sent in FPF photos this week! We love getting to know you guys better. This week's FPF challenge: submit a photo of you and your homies throwing fist pumps and leg kicks while making leaf angels. (Of course all other entries will be accepted). Send photos to: em@todaysletters.com. It's just that simple!